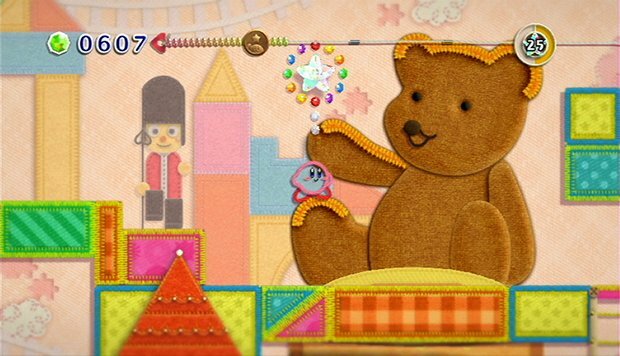 Kirby has had a strangle-hold on the cute factor since the addition of Rick the Hamster in Kirby's Dream Land 2. I was somewhat surprised that the "cute 'em up" genre wasn't mentioned on this episode. It was, as you can probably guess by the name, a shooter sub-genre that introduced more cutesy aesthetic elements. Most people say that this genre originated with TwinBee, an arcade shooter that came out in '85 in Japan. I thought it was interesting that there was a genre distinction made based on its cuteness alone, as it still played much like any other shoot 'em up. This might have been the good historic example that you guys were looking for. They should make Rick spin-off game. Buddy could do the mo-cap. Somehow, I had never heard the phrase "cute 'em up," but you're right: it's a great example of deceptively cuddly games. Thanks for stopping by!